Many décor trends in interior design come and go, but the use of metals has been around for centuries. Copper is a recent home design movement worthy of attention. Many décor trends in interior decorating come and go, but the use of metals has been around for centuries. Certain metals become trendier over time, however. Stainless steel was, and arguably still is, the king for kitchen appliances, furniture, focal walls, and even decorative elements. However, these days, warm metals are starting to get much more attention. 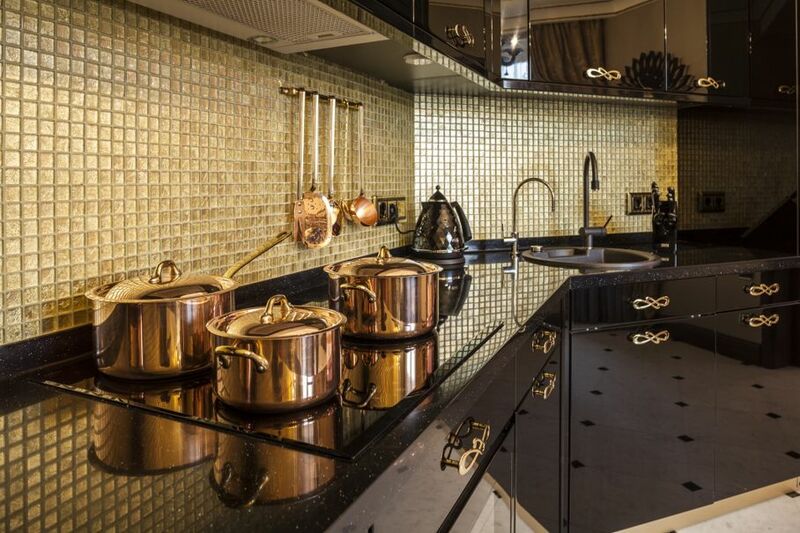 One of the most exciting new interior design trends over the last year has been copper. For many people, copper evokes a sense of the dusty southwest. Mix copper with with turquoise and Aztec Geometry, and you can create a very Tex-Mex style. But these days, copper is being used for more modern design schemes that go perfectly with that sleek and contemporary look many homeowners seek. Copper comes in several different shades, from the deep, rosy gold of a penny, to a nearly perfect golden color that you may not even realize is copper. By choosing a lighter shade of copper in your design, you may be able to achieve a more modern look than if you were to use the reddish copper that features so heavily in Southwestern designs. Mixing metals is a popular way to bring copper into your modern space. Stainless steel appliances mixed with a copper backsplash allow you to create a warmer atmosphere in your kitchen without losing any of the streamlined appeal. Copper-colored upholstery on minimalist furniture, or copper tiled floors, also help bring some of that beautiful reddish shine into your space. 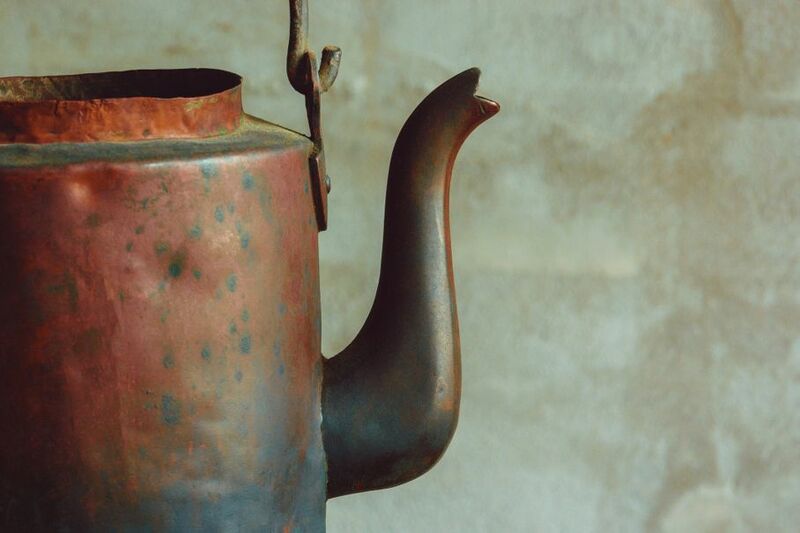 If you aren’t ready to feature copper on your walls or floors, home accessories are the perfect way to add a touch of rustic shine. A perfectly white tablecloth set with copper eating utensils can make a lovely industrial-chic place setting that feels right at home in a downtown loft. Copper pots and pans have long been used by grandmothers for their durability, and hanging a few in your otherwise stainless steel kitchen is the perfect way to try the look. Copper is also one of the most conductive materials for cooking. 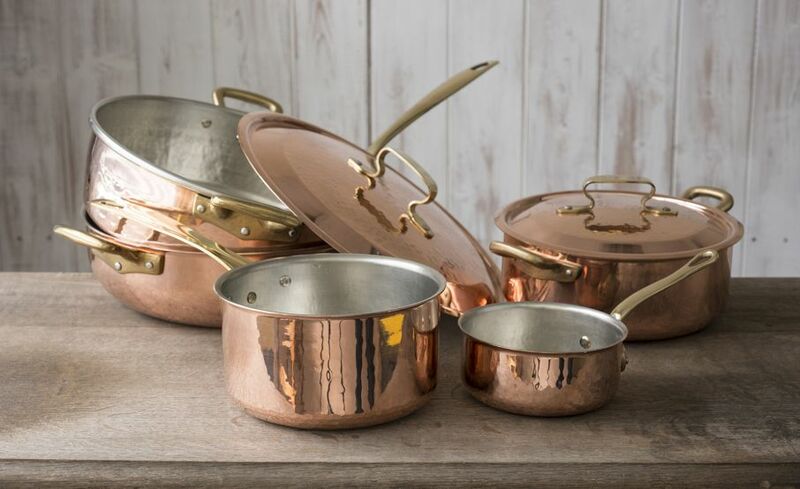 Explore some copper pan optionshere. Copper mirrors are another big trend. They allow you to add a warm accent piece in any area of the home. These polished discs reflect the room in rosy tones, casting a golden glow over anything nearby. In a sunny room, this would be an excellent way to bring some depth to the natural light. Like any metal, copper needs periodic care. When metal rusts due to daily exposure to elements it is called oxidation. 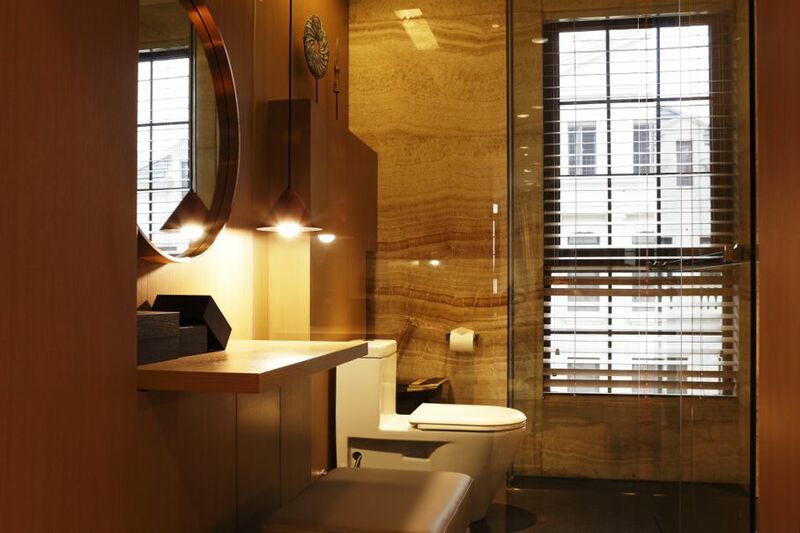 If you have copper in a bathroom where it might get wet, you’ll need to pay a little more attention. This can lead to the copper forming a covering known as patina as seen on the Statue of Liberty. The green color is actually the patina of the underlying copper. With that being said, copper is actually one of the easier metals to care for. Wipe down any materials that get wet or dirty before they can dry. If you don’t dry copper immediately after it gets wet, you’ll probably see water spots and mineral deposits. There are copper cleansers available if you want to get rid of these stains, but you can also make copper cleaner from household products. Take a small amount of salt and mix with vinegar, and make it into a paste using flour. You can also polish copper with lemon juice, tomato juice, or vinegar. Polishing your copper isn’t necessary, and it may be better if you don’t. If you like the way the patina appears on tarnished copper, leaving the tarnished layer can protect the copper underneath. Always remember that copper darkens with use. That is a natural feature of the metal that cannot be prevented unless it has a finish applied.